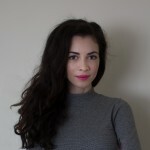 Not long after publication of an article I wrote exposing dire working conditions in the Romanian and Bulgarian garment industry, I began receiving anonymous phone calls from people mumbling or heavy-breathing. A man – I assume an official from City Hall – turned up at my house asking to see me but refusing to identify himself. Then, on February 16, at around midday, I received a call from an unknown number. Finally, I thought. The workers, long exploited by factory owners, had plucked up the courage to demand their salaries. Garment workers in the southern Romanian town had last protested in April 2014 over unpaid wages. On that occasion, the most vocal among themwere fired. But the voice on the phone sounded irritated. “Never mind the salaries”, the woman said. “We’re going to protest because of what you wrote”. The woman said that, indeed, she had not been paid since December and that sometimes women faint, including her. But it was because she had been sick, she said, not from exhaustion due to long hours and poor conditions. Even so, nothing could be worse than having no job at all. Workers at the Calafat garment factory were told by the factory’s management that my article had scared away their clients, some of them among the biggest names in the European clothing industry, and that job losses would inevitably follow. Several workers told me that the first major client to break ties was high street giant Zara. Inditex, the Spanish-based company that owns Zara and other labels such as Massimo Dutti, had said in late January that it was still working with the Calafat factory, but had put it under a “correction plan” and would carry out a “social audit” of conditions. The workers, however, believed their managers when they said Zara had already walked away, and feared for their jobs. Around 200 protested, 20 of whom were called to meet with the local authorities. Some sat around a large oval table. Others stood. Their main demand was that the town’s authorities should refute the article. They were received by Mircea Guta, the Calafat Mayor, and his deputy Dorel Mituletu. A local journalist recorded the entire meeting and streamed it onYoutube. Mituletu was the main target of their anger. He was quoted in my investigation for BIRN as saying that “poor women drop like flies [in the factory], especially during the summer”. The deputy mayor tried to defend himself, saying the remark, which he indeed made, had been taken out of context. (an audio recording was made of the conversation and his quote was not altered). Mituletu said his honesty had put his position in his political party at risk. Amid the furore, Marian Pasat, the director of the Calafat factory, agreed to talk to me after almost a year of my chasing him for comment. He confirmed telling the workers that the BIRN article had scared away some clients. He also conceded that, sometimes, the company does not pay salaries on time. “Some periods are more difficult, so salaries are delayed, but this does not mean that the factory is not legal, first of all, or unethical”. The Labor Inspection department fined the company three times over the past year, for violations including illegal working hours and not paying salaries, according to an official response from the department. “Indeed, we sometimes had people working extra hours, but because of objective reasons, as we presently lack about 200 people,” Pasat responded. When asked why people do not want to work at his factory, Pasat said he could not be sure, but it was probably “because of Italy, Germany, Spain, England”, referring to the lure of work for Romanians in wealthier parts of the EU. In December 2015, there were 327 unemployed people in the city, according to official figures. Marian Pasat rejected the notion that brands may have backed off because of problems at the factory. The sole reason was my article, he said. Abuses were going on long before I published my story, but the factory did not lack clients. Now, since such practices became public, the factories faced a possible backlash from clients concerned about their image among consumers. It has long been known that workers in countries such as Bangladesh, China or Vietnam face exploitation in churning out products for Western buyers. But the stamp “Made in EU” was believed to be a guarantee of fairtrade. Not so. It many cases it has simply disguised exploitation in poorer, newer EU members such as Romania and Bulgaria. Competing with Asia in the market for cheap labour, factories in Romania and Bulgaria are under intense pressure to keep prices and salaries down, or face losing clients. There are over 10,000 clothing factories in the two countries combined, so competition is high. 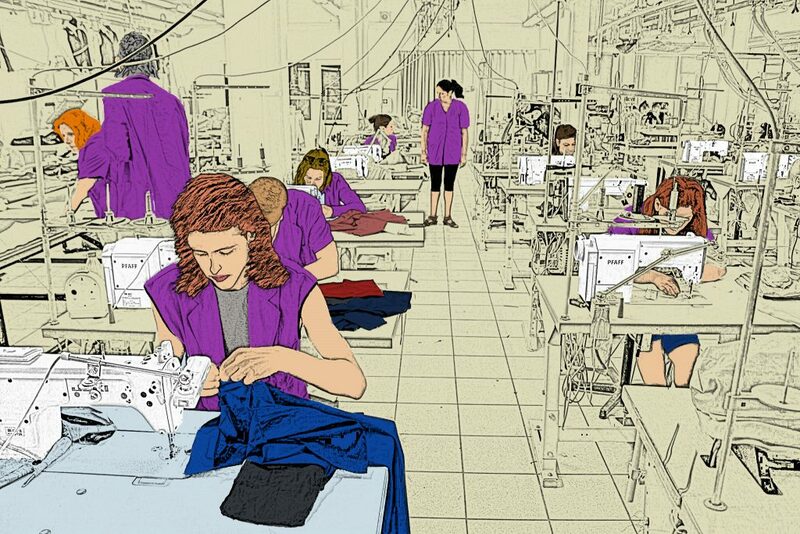 According to a study conducted in Thailand, the cost of increasing the monthly salary of one worker by €90.53 would nudge up the average cost to produce a garment by just €0.29. But while most buyers would likely be willing to pay the extra amount, they are rarely given the option.